Parkes, Stewart, Walford, Gale, Martin, Devonshire, Ward, Dickens, Orr, McAvennie, Cottee. The best ever West Ham line up? Obviously there’s no Moore, no Brooking, no Di Canio and no Dicks. But those eleven players took West Ham United to third place in Football League Division One in 1985/86, or 6 BPL ( Before Premier League). 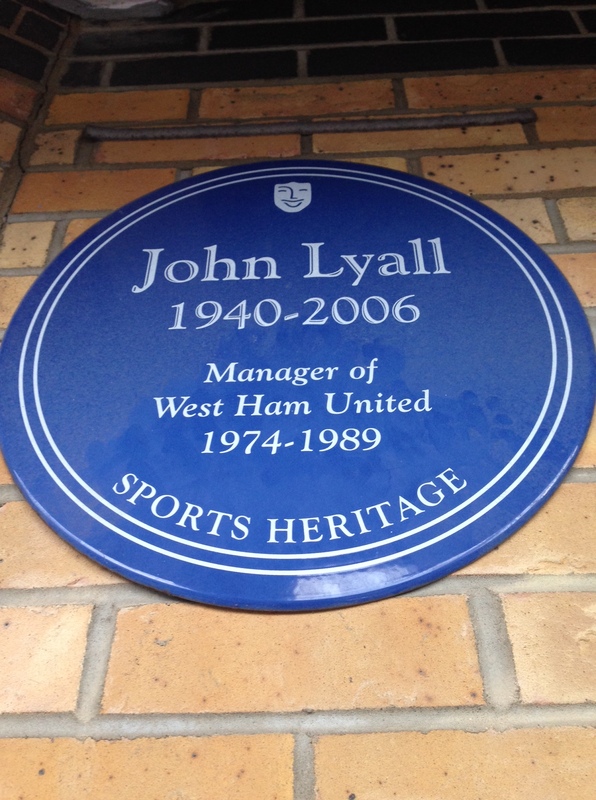 Under the leadership of John Lyall, the Hammers ran Liverpool and Everton to the last Saturday of the season. 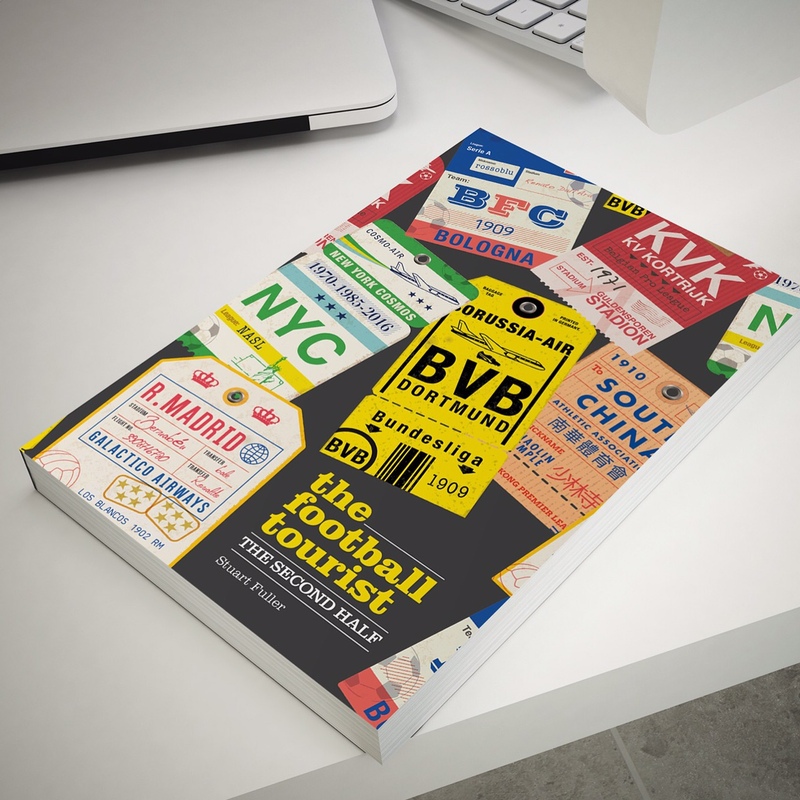 Amazingly, they only used 18 players in the whole season, of which five played two games or less – so a squad of 13 players, all British and featuring five home-grown players, exceeded all expectations. That was the last season that the club were in the top four at this stage of the season. Today, there was a possibility that they could go into Christmas in third place. West Ham in the Champions League spots. Watch out Barcelona, West Ham are coming for you. We all say “it won’t last”. Last week I wrote about Regression Theory which tries to explain that over the long term teams always settle in their “natural” positions, whilst the next two games see them take on rivals Arsenal and Chelsea, matches they would probably not expect to win. But this isn’t a normal side. I’ve no idea who has got into the heads of some of the squad but they’ve turned fair to middling players into world beaters. There are few better midfielders in the Premier League at the moment than Stewart Downing, given free-reign to drift across the pitch. Winston Reid looks like a rock at the back. Arsenal don’t know what they are missing in Carl Jenkinson, whilst on the other side, Aaron Cresswell has stepped up from the Championship without a look back. Whilst today was the Lewes Lunatic Fringe’s Christmas party away at Harrow Borough, I’d be heading to The Boleyn aground for the second time in two weeks thanks to Barclays and their weekly ticket give away. 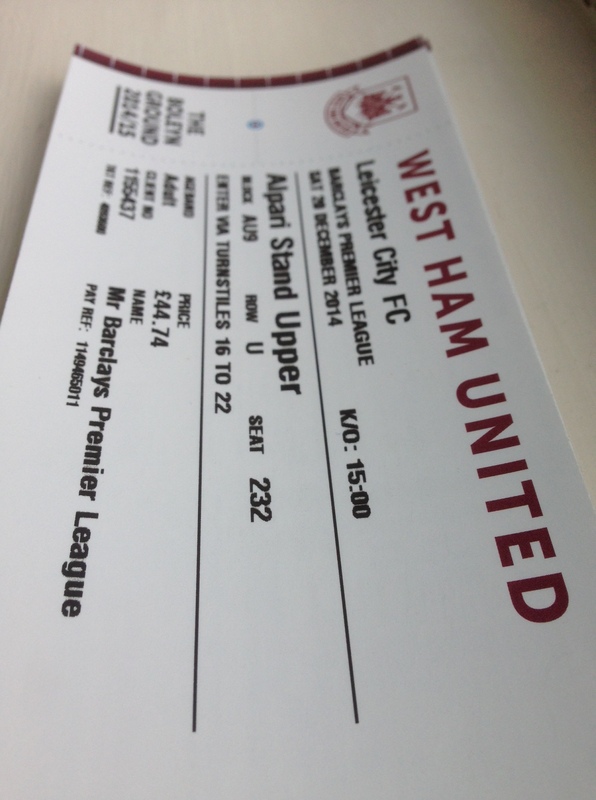 My tickets were in the name of Mr Barclays Premier League – not a title that sits easy with me but I was willing to play the part for the visit of bottom of the table Leicester City. Getting anything free from Messrs Sullivan and Gold (and not forgetting Dame Brady) is almost unheard of. In the week before the game the club had hit the headlines, for the wrong reasons again, after it was revealed that at £600 a head, they offer the most expensive mascot package in the Premier League (and likely, the whole world). 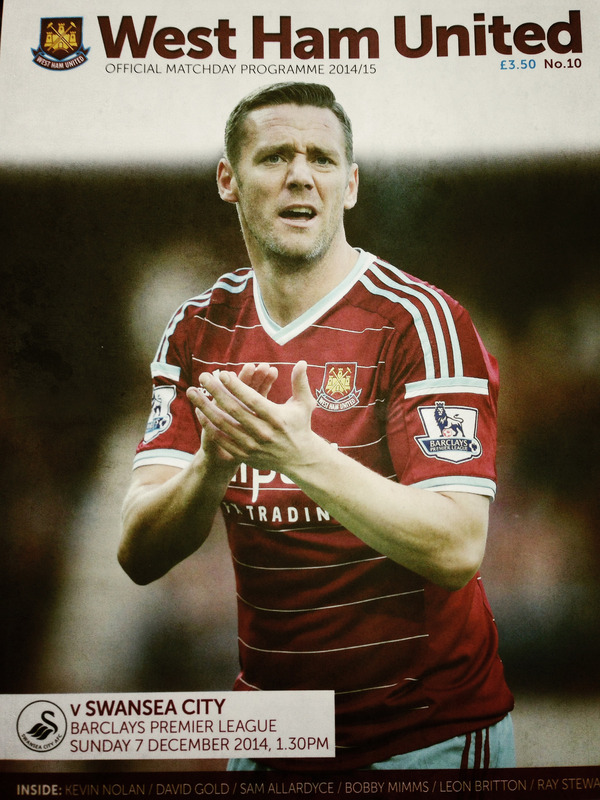 Only seven hard-up takers for today’s game, according to the programme. 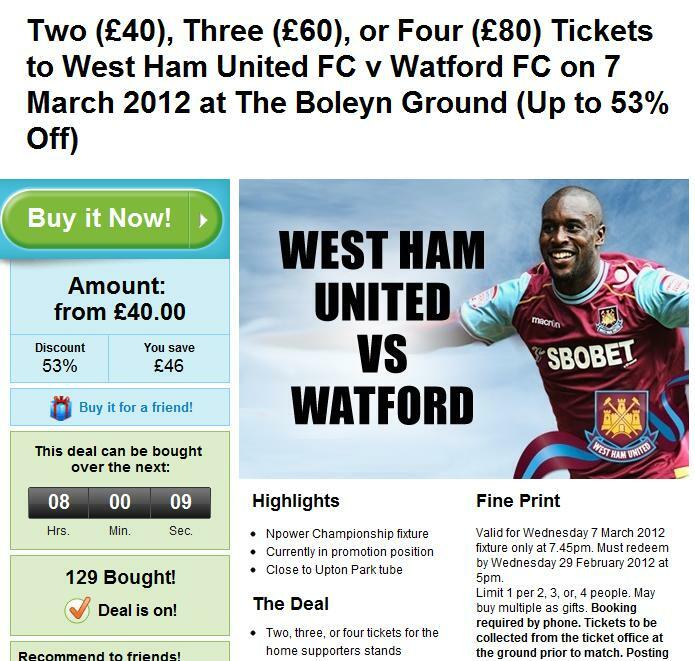 Fancy a season ticket for next season’s last one at The Boleyn? Well you can add your name to the waiting list now for just a tenner. Or perhaps spending £50 on the limited edition purple FA Cup shirt, which because they are playing Everton away in the 3rd Round will mean they can’t wear it anyway. Back in 1985/86 the success of the team was build around the pace of Cottee and McAvennie up front, a midfield play maker in Alan Dickens, a decent wide an in pint-sized Mark Ward and an outstanding keeper in Phil Parkes. Fast forward 29 years and it was Sahko, Carroll, Song, Downing and Adrian. All on fire at the moment, playing at the top of their game. That’s why West Ham were in the top 4. Hard to beat but always looking likely to score. Or as someone said to me post-match, it’s all because we are wearing Adidas again. Last May, with the Football League Championship secured, Leicester City’s chairman Vichai Srivaddhanaprabha said he expected to see The Foxes in the position West Ham held. A rumoured transfer kitty of over £150 million was to be made available. The future was bright, the future was the Premier League. After a decent start in their return to the Premier League, Leicester haven’t been enjoying the last few months. Coming into this game they were without a win in three months in all competitions – in fact their last win was the high point in their season, the 5-3 victory over Man Utd. They didn’t need reminding about the fable of the bottom team at Christmas, although it appeared Radio 5Live needed to include it in every pre-match report just in case we had developed a goldfish-like memory. Once again, the Man of the Match award, announced on the 85th minute, was greeted with muted applause. Just as it was two weeks ago, goal-scorer Andy Carroll had been given the honour, despite two or three players shining brighter. Carroll’s firm since return from serious injury has been impressive. It seems the striker thrives when the focus of the side’s play doesn’t focus on him. Last season he was rushed back from another injury, pressure building with every game he was absent. Allardyce, Gold and Sullivan (junior of course as he seems to be the official spokesperson of the club via Twitter despite only being about 13) all told us things would be better when Carroll was fit. The visitors certainly started the brighter, belying their lowly position. They’d done their homework, targeting the ineffective Tompkins, who looks as out of depth in the Premier League as he did on his debut back in 2008. Some may also question whether he should still be playing after pleading guilty to assaulting a policeman as well as being drunk and disorderly. But then we all know football doesn’t reflect the same moral code as real life. Adrian was the busier keeper in the opening exchanges but it was West Ham who took the lead in the 24th minute after Leicester had been pressuring the West Ham goal. Downing set up Carroll, who blasted the ball over from 8 yards but less than sixty seconds later he got his goal. Carl Jenkinson hoofed the ball clear from almost on his own touch line, ex-Hammer Paul Konchesky gathered the ball on the half-way line and tried to play the ball back to the keeper but it was short, allowing Carroll to get in between the keeper and defender and chipped the ball home. The difference between the two midfields was Alex Song. “We’ve only got one Song” the West Ham fans sung as the Barcelona loanee bossed the midfield. How he failed to end up at The Emirates, Anfield or The Etihad is a mystery but he seems to love playing at Upton Park, and the Upton Park faithful love him. Strength, balance, poise and vision. Add in a rejuvenated Downing and that’s one hell of a partnership. The two combined ten minutes into the second period, with Downing showing great control before curling the ball home from the edge of the area. It was a fine goal to cap a fine performance from a player who is now finally living up to his potential he showed as a youngster at Middlesbrough. Adrian then pulled off two world class saves to deny Leicester a deserved consolation goal. Whilst they would head back up the M1 wondering what the future held, West Ham would enjoy their Christmas dinner sitting above Spurs, Liverpool and Arsenal almost at the half way stage of the season. Whilst we can but dream of another season like 1985/86, deep-down we know natural selection, or Regression Theory, will eventually determine our fate. Carroll is no Frank McAvennie, Winston Reid is no Alvin Martin, Cheikhou Kouyate is no Neill Orr and of course Allardyce is no John Lyall. But that was then and this is now. It’s a good time to be a West Ham fan. Yesterday our fellow London rivals Arsenal, Chelsea and Millwall all lost, whilst Spurs could only manage a goal less draw at home to Crystal Palace. 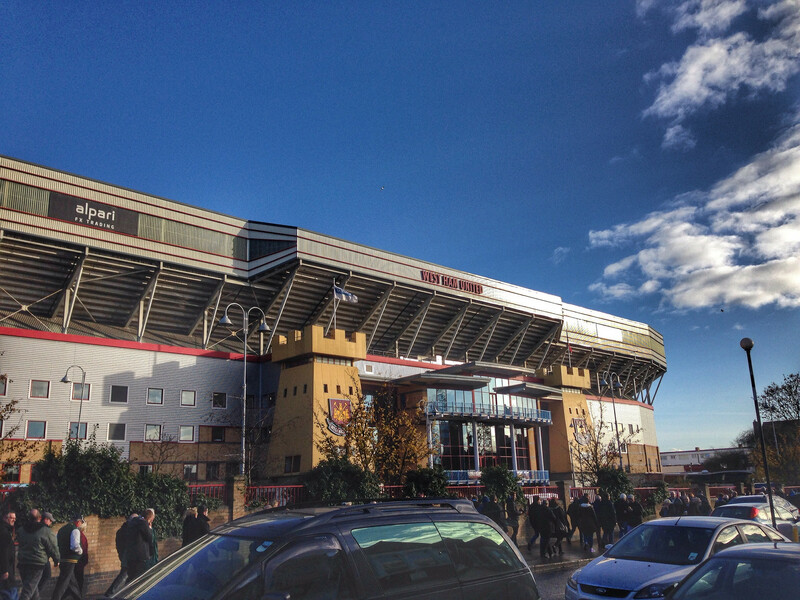 Coming into the game at The Boleyn Ground against Swansea City the team knew a win would take them to third…THIRD. I cannot remember the last time The Hammers were in the top three, even after the opening day of the season. Third. Champions League Group automatic entry third. Top three in one of the richest leagues in the world. We all know it wont last. It can’t last. Why? Well we can blame the economist Francis Galton for making our dreams fade and die. 19th Century Galton was credited with first documenting the Theory of Regression. Whilst Galton used the biological phenomenon of the height of ancestors to demonstrate his theory, it can be applied today in predicting bouncebackability (he actually invented that word too) of teams who either punch above their weight or failed to meet expectations. Everyone will always gravitate to their natural position. 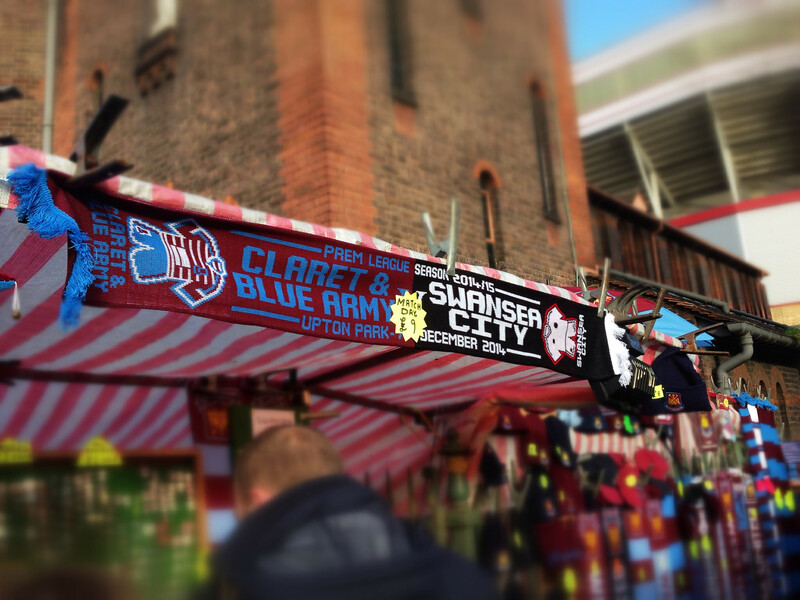 But that’s not to say there hasn’t been a seismic shift in events at Upton Park. After Allardyce was given a seat at the bar of the last chance saloon in the summer, he used the close season well, and whether it was his hard work, that of “attacking” coach Teddy Sheringham or the scouting network, he has built one of the best looking West Ham side’s that I can ever remember. By best looking I mean in terms of positive and attacking play rather than any looks, although the shift to the blue shorts is very pleasing on the eye. Few expected the likes of Enner Valencia, Cheikhou Kouyaté and Diafra Sakho to settle in East London so quickly but they have. Sakho in particular has been a revelation. The Senegal international had been playing in the French Second Division until the summer, but someone spotted something in him. Whoever that was deserves a knighthood. Sakho has been a handful for Premier League defences so far this season, hitting seven goals in just nine games before the game against Swansea. Thoughts turn to a young Frank McAvennie when he first came to England back in 1985 and terrorized English defences. The lofty position hasn’t been down to fluke either. I’ve never been an Allardyce fan, hating this traditional Anti-football which hasn’t ever proved to deliver anything apart from neckache to fans. His purchase last season of Andy Carroll was seen as the final piece in his long-ball jigsaw, and when the injury-prone striker inevitably ended up on the operating table, there was no plan B. Even in pre-season when I saw them against Stevenage there appeared to be zero attacking intent. Four months later they are playing some of the best football in the Premier League and have beaten Champions League qualifiers Liverpool and Manchester City comprehensively at Upton Park, whilst away from home they have been impressive, sticking to an attacking 4-4-2 with the resurgent Stewart Downing finally being freed from his wing. 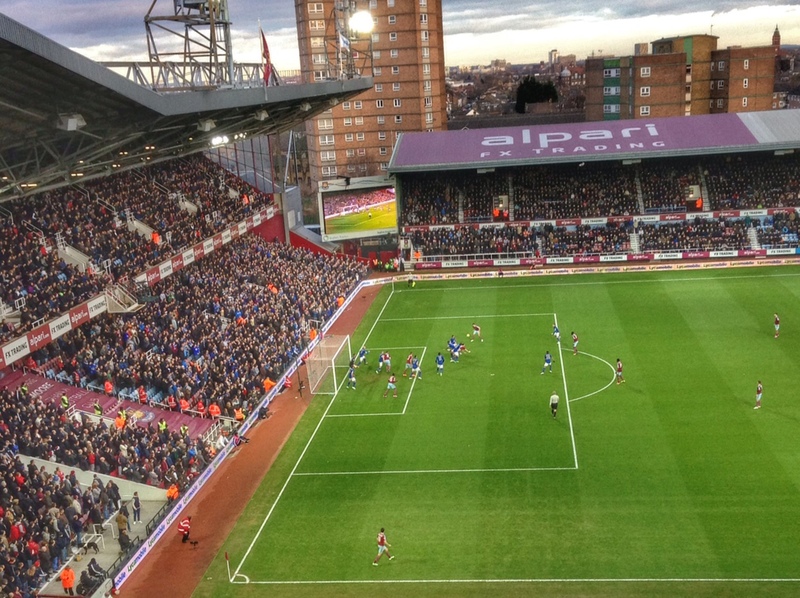 Despite a Sunday lunchtime slot for this game, the game was a sell-out, as had every other Premier League game bar the one versus Aston Villa this season. With the rest of the Fuller family up North it was took good an opportunity to miss. A £43 ticket is easier to swallow if the football on offer is attractive and positive. In a pre-match interview with Radio 5Live, Co-Chairman David Gold admitted that he was very surprised that the club were so high up the table. “Not that don’t believe that we are a good team, we probably didn’t expect to be in this position at this stage of the season”. It would of course be amiss to forget that the visitors from Wales were also having an amazing season. After starting off like a train they had followed the Galton theory and dropped back down the table, only to start to climb again in the last few weeks. 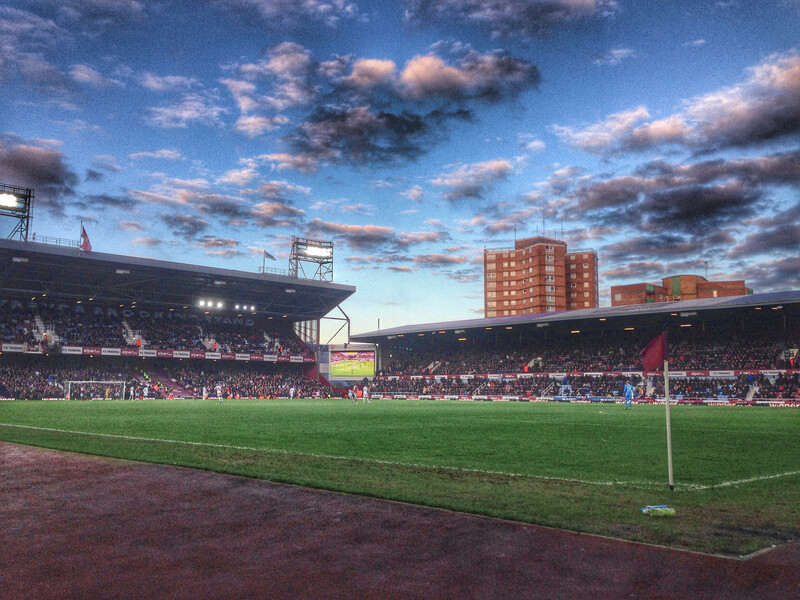 In fact, a win at Upton Park would see them leap-frog the Hammers and Arsenal into the top six. The sun was shining and it was felt good to be back in East London. 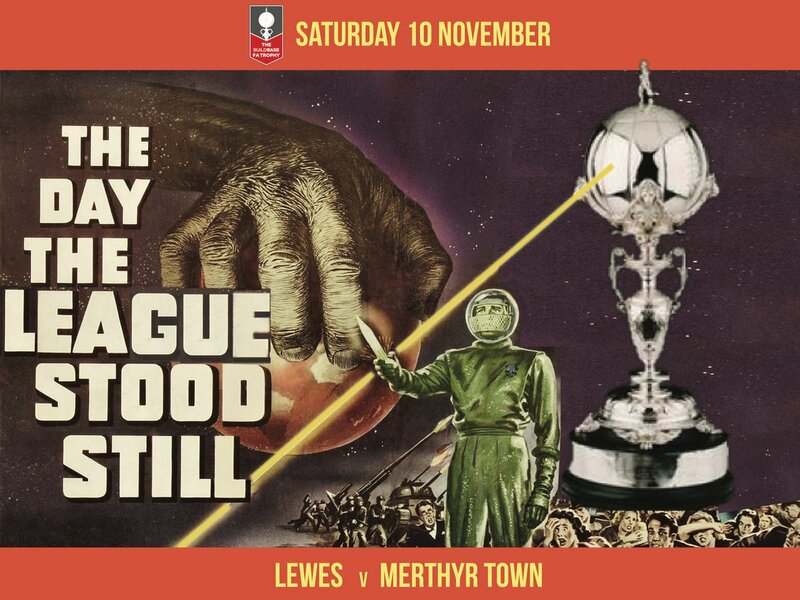 Due to overseas travel and my commitments at Lewes (plus the dire football on display in recent seasons) I had been a rare visitor to these parts, but just like a London bus, I would be following today’s game with visits to the next two Premier League games here. But for now it was time to see for myself exactly how this new team were taking the table by storm. It took the introduction of that man Sakho to power West Ham to victory against The Swans, adding the cutting edge to the dominance in possession. This was a great game of football, full of attacking intent from both sides, controversy and a couple of great goals. Whilst the game between Southampton and Manchester United tomorrow night will see one of them reclaim third place, for 30 hours or so, The Hammers could look down on the likes of Arsenal, Spurs, Liverpool and United themselves with a sense of pride and achievement. The return to form of Andy Carroll had been perfectly timed, with Sakho missing from the past few games but it was the re-introduction of Barcelona – Alex Song that gave West Ham the victory. Quite how and why Arsenal let their former player slip through their fingers in the summer is beyond me. Likewise, their attacking full back Carl Jenkinson seems to revel playing in a side that allows him to run behind the opposing full backs. For all of their opening possession it was the visitors who took the lead. Despite West Ham being “all over them like a cheap suit”, they couldn’t “put the ball in the Onion bag” (those two quotes courtesy of the person sitting behind me), Swansea attacked down the left-hand side, Montero got in behind Jenkinson and played the ball across the face of goal for the on-rushing Bony to easy tap home. Swansea’s tactics then switched from mildly attacking to retention and time-wasting. With seventy minutes to hold on, it was a foolhardy tactic and it was always going to be a case of when and not if West Ham scored. For all the great passing play from the home side, the equaliser came from a familiar route in the 40th minute. Jenkinson crossed from the left and Carroll out-jumped his marker and headed home. Swansea started the second half the better side and a powerful run through the middle by Bony followed by a shot that hit the bar had most of the West Ham fans groaning that this wouldn’t be our day. But then Carroll rose again and headed Downing’s corner into the net via Rangel’s desperate dive to keep it out. But the main talking point came moments later. Earlier in the season when Lewes took on Margate at The Dripping Pan we had our centre-back Ollie Rowe sent off for a “professional foul”, or to give it its correct term, stopping a clear goal-scoring opportunity. Rowe had stumbled when chasing a Margate forward and as he fell he took the legs of the attacker. 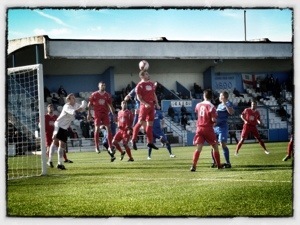 But the attacker got to his feet, carried on and managed to get a shot in which the Lewes keeper, Rikki Banks, saved. The referee pulled play back and sent Rowe off. How could it be claimed that he denied a goal-scoring opportunity if he then went on and got his shot on? What would have happened if he would have scored? As we were told at the time by the officials, the fact that there had been a clear foul, it is irrelevant what the end result was. If he would have scored them it is a different matter, and the offender would have been cautioned. Sakho outpaced the Swansea defence and took the ball passed the on-rushing Swansea keeper Fabianski. The keeper tried to take Sakho out but the forward was too quick for him and he recovered his poise and from a tight angle tried to slot the ball home, only to see his shot come back off the post. Referee Chris Foy brought play back for a free-kick and dismissed the keeper. Swansea’s main argument was that Sakho had allegedly handled the ball rather than Fabianski’s foul. The game was wrapped up when Sakho once again showed his pace and power, running onto a flick from Carroll to smash the ball home from the edge of the box. 3-1 and West Ham were going third. Man of the Match was always going to be given to the two-goal Andy Carroll but it was clear to see that it was Alex Song who called the tune today and without his energy, drive and tempo it could have been a very different result. Last year marked the twentieth anniversary of the death of Bobby Moore. The date was marked with numerous events and presentation across the footballing landscape, especially in the East End. I never saw Bobby play in the flesh, but I have heard enough stories of his playing career from my Dad and brother to know that he was a special player. It is all too often in life that we only really remember the contribution of someone to our lives when they are taken from us. Bobby Moore epitomised the image of West Ham during the 1960’s and early 1970’s. Few footballers back then lived their life on the front pages of the newspapers like today, and the standard of behaviour (George Best aside) was that of a group of people who saw playing football as a privilege rather than a right. Moore made 544 appearances for the Hammers before he moved onto Fulham. He became the first man at the club to ever lift a trophy, when West Ham won the 1964 FA Cup final, and then just a year later leading the Hammers to a famous European Cup Winners Cup victory at Wembley. Of course, he was also responsible for winning the World Cup twelve months later. You may have missed the little nugget in the media over the past week that West Ham United are going to be moving to the Olympic Stadium in 2016. It seems the world and his wife have an opinion on this subject, whether they be fans of the Hammers, of the Olympic Park or just concerned tax payers. I have written about my opposition to the move on numerous occasions but decided to reflect back on those reasons over the weekend. I can now see the good and the bad in the plan to move the club 2 1/2 miles north(ish) to the newest stadium in Great Britain. So I thought I would try to write a “balanced view statement” as my daughter’s English teacher is so fond of saying, focusing on why I think it is a good deal for all parties, and why it is a bad deal for all parties. So my idea is to present five clear arguments for and against the decision of the club to move to Stratford. There, of course, is no right or wrong answer. In ten years time with West Ham dominating the Premier League and having won successive Champions League titles, playing in front of 54,000 local’s with families and local good causes well represented and contributing to the local economy, the doom mongers will have to hold their hands up and say they were wrong. But if the stadium sits half full whilst West Ham play hoof ball against Carlisle United in the lower leagues (no disrespect to Carlisle United btw), whilst local businesses employ their Saturday 1pm curfew then we know something will have gone very wrong indeed. Some time very soon we will be up in arms about the death of another football club in London. It is a beautiful sunny Saturday afternoon at 3.05pm and I have joined barely 150 other paying spectators who are watching Grays Athletic take on Needham Market in the 8th level of English football. Why are there so few fans bothered about football at this level? Well, a scan on the immediate horizon will give you a good idea. Just as the hosts breath down the Needham Market goal in the first minute of the game, Leyton Orient are holding their own against Sheffield United at the Matchroom Stadium and the mighty Dagenham & Redbridge are probing at Bradford City defence less than 2 miles down the Rainham Road. Two nPower Football League games kicking off at the same time. Oh, and of course let’s not forget that if ESPN didn’t have their way West Ham would have been hoofing high balls into the Arsenal box at Upton Park as well at this time.